Date was July 13th 2002. I just completed my National Service and had already enrolled myself in the bachelor course of information technology in QUT Brisbane Australia. I was still young, not knowing what i want to do in life or what i want to be in the future. 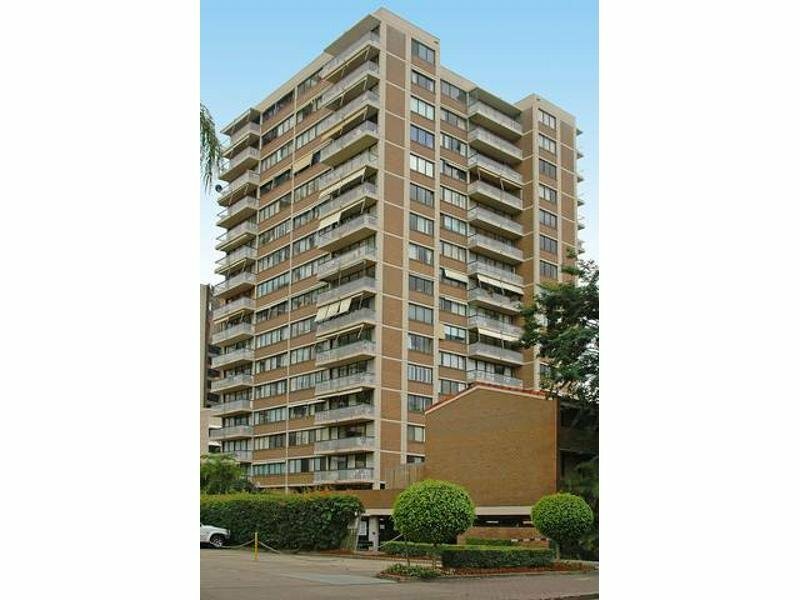 So here i was in my cozy bedroom in downtown brisbane sharing the apartment with my housemate which was also from the same polytechnic in singapore. Flipping through old magazine, suddenly i came across this magazine with an aircraft on the cover. Looking through the content an article caught my eye, which was an introductory flight conducted by one of the local aero club. Immediately i knew i have to give it a try, as flying had always been behind the back of my mind after i tried out for the air force interview 2 yrs ago but did not make it (more on that later). So i found a bus that brought me from downtown straight to the airport which is called Archerfield. Journey took about an hr there, alighting from the bus i could see planes flying in the sky and the breeze + the nice weather just made it picture perfect. I walked down the road, saw many clubs and after 5 buildings or so i found the one that was in the magazine. 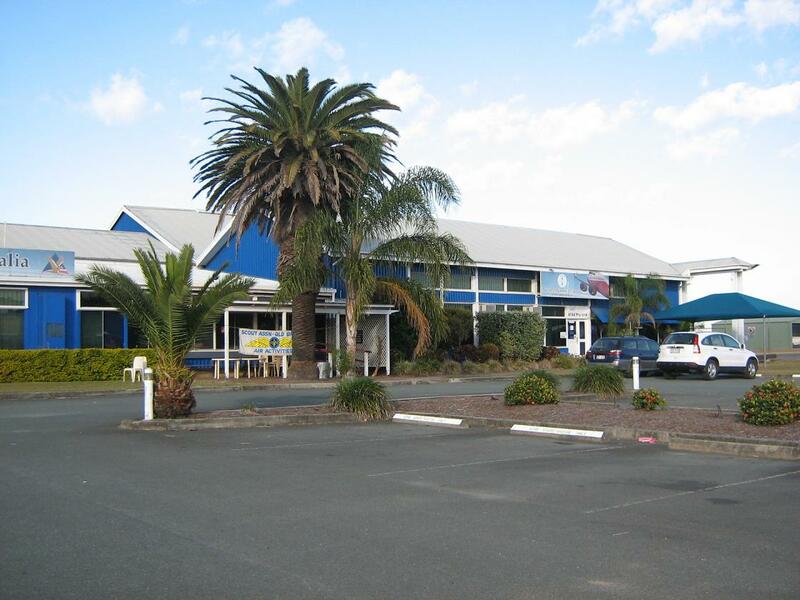 Royal Queensland Aero Club. I was greeted by this old guy who seemed to be like an instructor. I told him my interest in the joyride and he said no problem , he will take me up for a ride. He took his gear and gave me a headset and off we went to the aircraft. 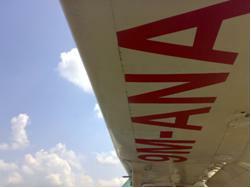 The aircraft i remembered was a Cessna 152 and he did some checks, drain some fuel, and after 5 mins told me to hop on. I was listening to him doing all the checks, following a checklist and at the same time talking to someone over the radio which of course now i know it was the tower controller at the airport. The moment we lifted off the runway, the feeling was exhilarating. For the first time, i felt like i was part of the air around me. I felt like a bird just that i don't have wings to flap. This was totally different from big commercial planes you took. We flew to about 2000 feet which was about 700 meters, i could see many cars below us and people that seems so small. 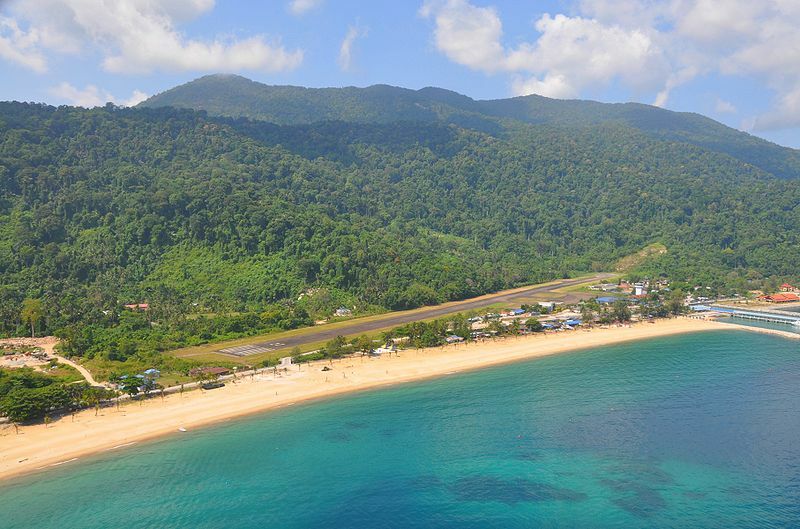 A Diamond 40 landing into Tioman. 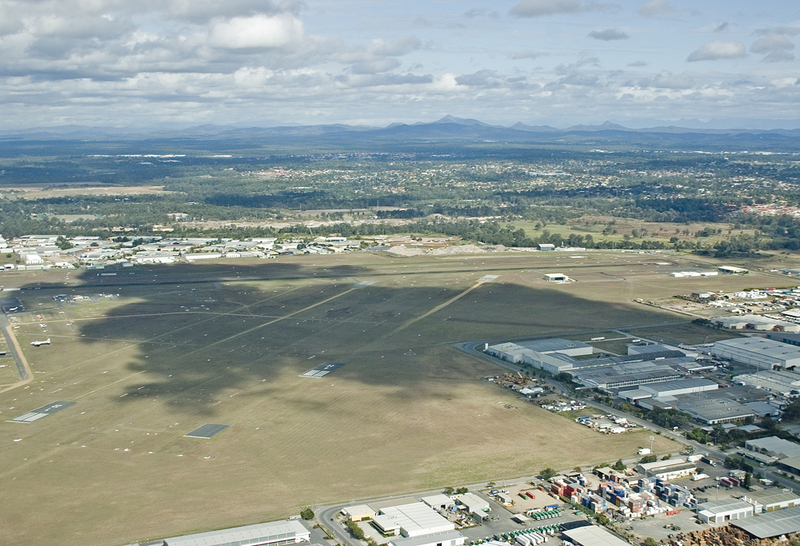 This airport requires a check with an instructor before one can land there as the airport is surrounded with high terrain to the left and front. Enjoy! An Article Written By My Ex Student. I finally came home on a bright sunny day in late January 2006. 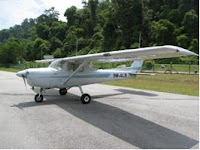 I was at Elite Flying Club in Senai, Johor, for my first flying lesson with my new instructor. 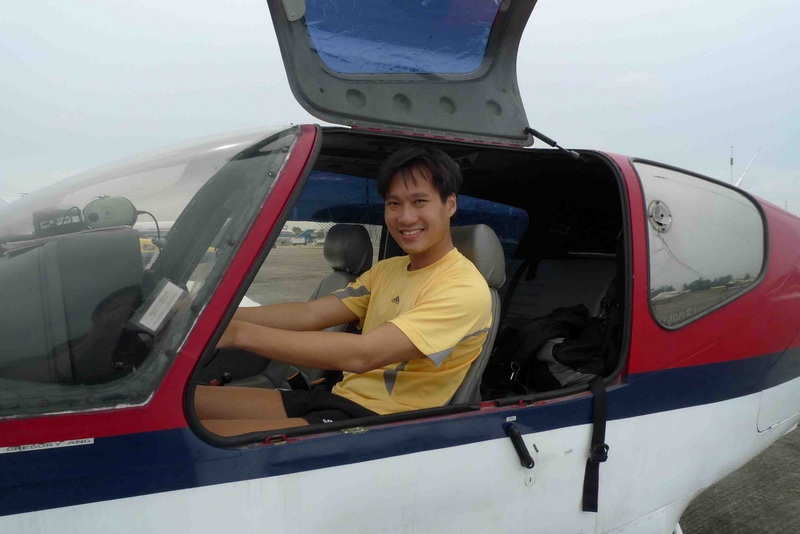 In the beginning … Many years ago, while I was in university, a friend’s father who had newly acquired a PPL, brought us up for a joyride at Seletar Airport. The moment we took off, I was enthralled by the pure joy of being in the air. Although the flight was just a short one round the north of Singapore, it left me speechless and thirsting for more. Subsequently, I tried to enroll in the Youth Flying Club but was unsuccessful despite having perfect eyesight and being in excellent health. Then my flying dreams faded off for many years as I worked my way through university, got a job, paid off my hefty study loans, learnt to drive and got a car. As such, it was more than 15 years later when I commenced my own flying odyssey. 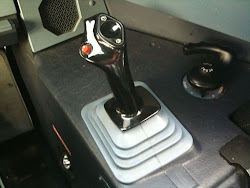 During the first lesson, the moment I laid hands on the control column of the little Cessna 152, I promptly fell more deeply in love than before. Most people would consider flying in such a light aircraft a noisy experience since the propeller can seem quite loud. To me, the feeling of peace and tranquility when in the air overrides everything. After some time, the sound of the propeller ceased to bother me at all. I do not consider myself naturally talented in flying nor did all things mechanical come easily to me. I was lucky to have a fantastic instructor who patiently guided me through my training. One of the things I quickly learnt was that great determination and perseverance was necessary to learn flying especially for a working adult. I quickly settled down to a routine of having lessons every Sunday morning. Without fail, regardless of whether it was rain or shine in Singapore, I would make the long drive into Senai Airport. More often then not, I would also have to brave horrendous massive traffic jams at the causeway. After a whole week’s worth of slaving away at work, I would always be full of anticipation for my weekly dose of flying. Many students would cancel if the weather was inclement in Singapore as they did not wish to make a wasted trip into Senai if they most likely couldn’t fly. I would go ahead even if it was pouring cats and dogs in Singapore. The “worst” thing that could happen would be that I would end up drinking coffee with the instructors and other students in the canteen or at the airport passenger terminal building. The animated discussions (about flying, what else?) we had during those rainy days also form part of my memories of my student pilot days. Often though, the persistence would pay off. Sometimes, the weather in Senai would be good enough for flying despite storm clouds gathered over Singapore. Sometimes, I would spend the whole morning waiting out the rain and still get to fly in the afternoon because the weather had improved but the other students had given up and not turned up. In order not to waste all this waiting time, I often lugged my textbooks along and studied for the theory exams whenever there was some free time. I proceeded through Effects of Control, Straight and Level, Climbing and Descent, Turns, Stalls etc with few problems. Like a young sapling thirsting for water and sunlight, I approached each lesson keen and eager to learn new skills my instructor was imparting to me. I was bursting with excitement as I moved on to circuits and landings. Unfortunately, I was to remain stuck at this stage for quite a while. Landing a plane well just did not come naturally to me! I was forever either coming in too high or too low, flaring too early or too late, cutting power too fast or too slow … my list of transgressions just seemed endless. It was as if I was up against a giant speed hump which I could not cross despite huge effort being put in. Very memorably, I recall one occasion when I was probably close to tears after a series of poor landings. On the full stop landing, I touched down with a far too hard landing once again. As the aircraft rolled down the runway, I exclaimed to my long-suffering instructor that perhaps I was just not cut out for flying and should go back to Singapore to take up a knitting course or something like that! That put my normally imperturbable instructor into a major fluster. So much so that I regretted my outburst later on and felt obliged to apologise to him for my poor attitude. I remain grateful that he not only did not chastise me further but tried his best to console me and encourage me. To this day, I will remember his words to me “If you do not give up on yourself, I will never give up on you.” My instructor is known to be a man of few words. But at that precise moment, his few words of sincere encouragement went a long way towards bolstering my confidence and reinforcing my determination to fly on. Finally on a cloudy Sunday morning, without any pre-alert, my instructor decided I was ready to go solo. We had turned back to the beginning of the taxiway and he had calmly unbuckled the seatbelt and stepped out of the aircraft. He stood outside giving me some last minute instructions and reminders before walking away. After flying for more than half a year with the security of my instructor next to me, it was an exhilarating feeling to line up on Runway 16, preparing to take off all on my own. Although I felt nervous, it was also a marvelous feeling of serenity and tranquility. It was truly a contradictory bundle of emotions coursing through me as I soared into the skies alone for the first time. The first solo passed all too quickly. I managed a credible landing and was soon rolling down the taxiway past my instructor who was standing at the edge of the cargo apron, waiting for me to come back. With my first solo under my belt, things began to move along faster. Some time later, this was followed by second solo, third solo, fourth solo interspersed with short field landings, glide circuits, low level circuits, flapless landings etc. From doing countless normal circuits and landings week after week to learning new landing techniques and doing solo jaunts every week, it was a staggeringly new experience for me. Before I knew it, I was ready to start my navigation training. 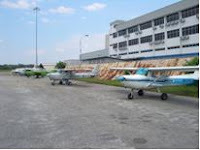 Most people learning flying in Senai start with short navigation trips to Batu Pahat followed by long navigation trips to Malacca. I was to change history. 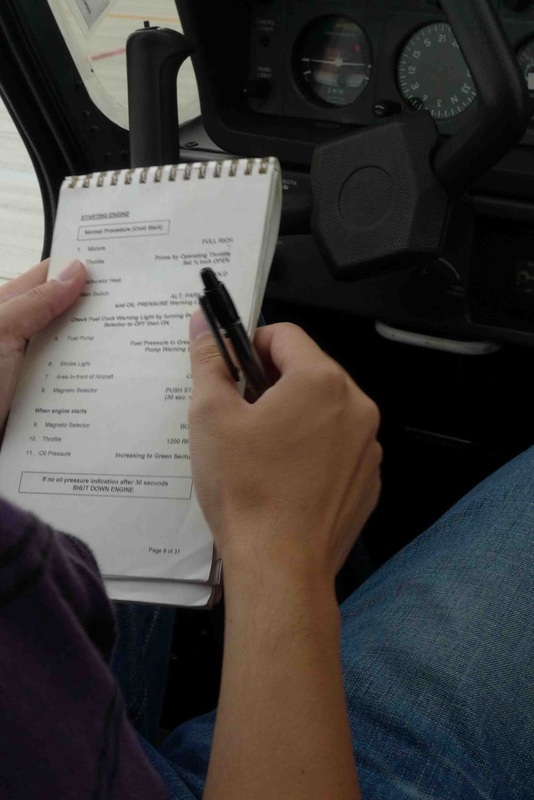 In conjunction with a club trip to Penang, my instructor decided to conduct my navigation training at the same time. A total of 4 aircraft flew together from Senai to Penang. We had a total of 3 instructors, 2 PPLs, 5 SPLs and 2 non-pilots flying on that trip. The PPLs and the SPLs spent a tremendous amount of time doing our flight planning before the trip under the guidance of my instructor. Every minute detail was scrutinized by my zealous instructor. The whole bunch of us stayed up until the wee hours of the morning communicating via MSN and phone to perfect our flight plans. Despite our thorough planning, I was a bundle of barely contained nerves as it came to our turn to be lined up on Runway 34 for take off. As we took off into the blue skies, my instructor immediately commenced instructing me on the salient points of navigation especially how to co-relate our aviation maps to the ground terrain. As we were flying our club’s speediest Cessna 152 (9M-ALB), we were hot on the heels of the Piper 28 which had taken off just before us. It was an incredulous feeling as we flew past Kulai, Benut, Batu Pahat, Muar and at last out of Johor and into Malacca. 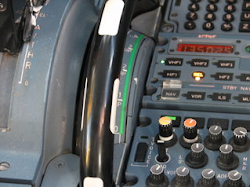 For me, it was a great thrill just speaking to a different ATC for the first time! After Malacca, we flew past Terendak, Port Dickson, Tanjong Sepat, Morib, Port Klang and were soon approaching Subang airport for a technical stop. I remember clearly telling my instructor while we were overhead Port Klang that I was still having problems believing that I was going to be landing in Subang shortly. My first landing outside of my home aerodrome would be at a former international airport – definitely a much larger and more complicated one! Just looking at the number of taxiways was enough to confuse any student pilot. But of course I had no fear as I had my capable and unflappable instructor by my side. 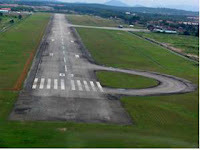 My heart leaped with joy as our little ALB touched down (not too hard I think) on Runway 15 of Subang Airport. We refueled the aircraft at the light aircraft area and then ourselves at the canteen before continuing on our way. My second landing outside Senai would be at Pangkor Island. This was a different experience since it was an uncontrolled aerodrome and pilots landed at own discretion. The short runway was nestled amongst some gentle hills and stretches of forests, almost impossible to spot until almost directly lined up on final. Sadly, our schedule was tight and we did not spend much time on Pangkor. The final stop for the day was at Penang. Again this was an international airport and we could spot commercial carriers in the air alongside us as well as on the tarmac. Due to the heavy traffic at the airport, we were all lined up to land one after another. ALB was cleared to join Runway 04 for long final while FYH was on short final and ADA had just touched down. It was an exhausted but cheerful bunch of Elite folks who landed that evening at Penang. 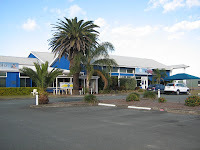 We quickly cleared through immigration under the guidance of our experienced instructors and traveled to the hotel. The night was spent indulging in the sumptuous local food and just window shopping. My return trip to Johor the next day was memorable because it incorporated my training on instrument flying and diversions. IF proved to be fairly strenuous initially as a lot of concentration was required to monitor all the instruments constantly. What seemed so easy when the external view was available suddenly seemed rather difficult as the human senses kept getting muddled up. As for diversions, I was thrown one just minutes out of Penang. I was tasked to divert from Pantai Remis to Bagan Datoh, bypassing Telok Anson. 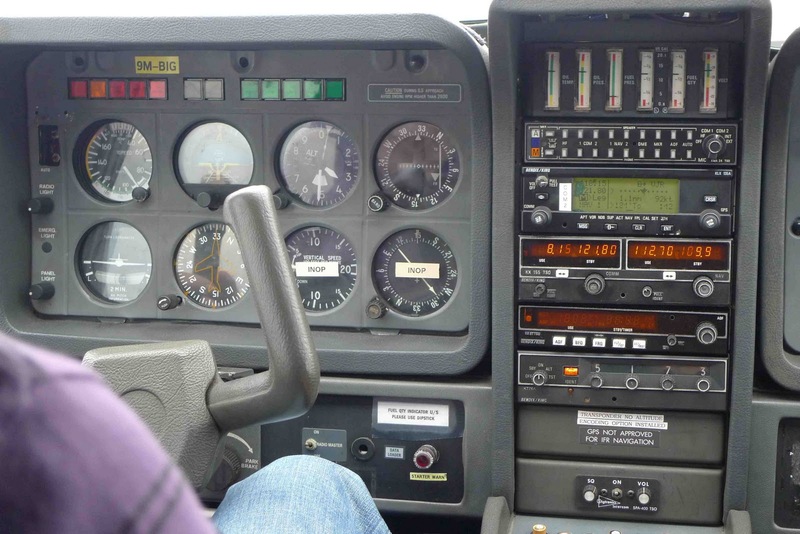 I struggled to do all the things I knew I was supposed to do such as drawing lines on the map, measuring angles and distances and reporting to the ATC … all while still keeping the plane straight and level. My instructor had a bemused look on his face as he watched my suffering. I had barely survived the first diversion when he sprung another one on me. This time, I had to divert from Ulu Bernam to Rawang, bypassing Kuala Selangor and Kapar, heading direct to Subang from east of airfield instead of the originally planned west of airfield. The town of Rawang is such a remote small one that I had difficulty locating it on the map. The interval was so short that I almost went into a panic trying to work things out, earning a stern chiding from my instructor. I was suitably chastised and valiantly tried to gather my wits to prepare for landing. Luckily by the time I entered the east of airfield, I had calmed down greatly. In fact, my instructor’s mood lightened up enough for him to point out to me the Twin Towers in the distance. This proved somewhat distracting to me as I was trying to concentrate on joining left downwind of Runway 15. After a technical stop at Subang, we resumed our journey home. In the midst of another IF practice, we hit some bad weather and I had to do a real life diversion out to the coast before continuing on to Senai. It was a comforting feeling to get Johor Approach on the radio again as we passed Batu Pahat. It really felt like a homecoming of sorts as Gunong Pulai and then the Senai runway loomed into sight. And that concluded my first foray into navigation. I continued with my navigation training thereafter with the usual short navigation to Batu Pahat and then the long navigation to Malacca. About 2 weeks later, the day finally arrived for my solo to Malacca. My instructor carefully checked the weather before clearing me to fly and also reiterated many of his previous instructions to me about radio contact and area clearances. I took off into an overcast sky and was compelled to remain at 1000ft instead of the 1500ft I was cleared to. Due to the low level and bad weather, I lost Johor Approach before I reached Batu Pahat. I was still unable to contact Malacca Tower by the time I reached Muar. As instructed, I circled Muar until an Academy plane turned up to assist in relaying a message to Malacca. Once out of Muar though, Malacca Tower burst to life on the radio. As I approached Malacca, I became starkly aware of the heavy traffic at there. There were 2 aircraft in the circuit and several others in the training areas. 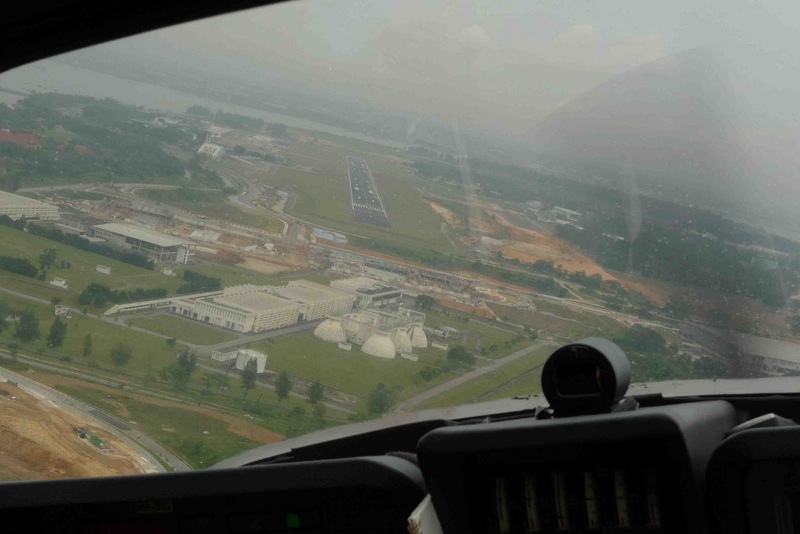 However, after holding briefly at east of Bukit Beruang, the superbly efficient Malacca controllers squeezed me into right downwind of Runway 03 effortlessly. It was incredibly thrilling as I approached to land at Malacca for the first time all on my own. 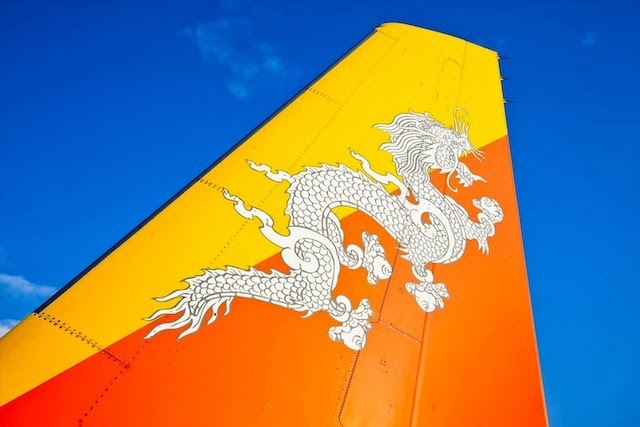 When I popped out of the plane at the main apron, the friendly chief controller was standing outside the tower waving at me enthusiastically, inviting me to go up for a visit. Such offers could not be refused and I obediently went up to pay them a visit once I had settled my landing fees. Apparently, they wanted to chat with me as they seldom had out of state female pilots landing in Malacca alone. Not wanting to get caught in any weather, I excused myself after a polite interval and started on my way back to Senai. Again the traffic was heavy and I was actually held on the runway waiting for a suitable “gap” to allow my take-off. As I left the Malacca airfield, I continued to remain on high alert for all the area traffic and reciprocal traffic returning to Malacca. I flew round rain clouds in Muar and soon the twin hills of Batu Pahat were coming into sight. At an altitude of 2000ft, I had no trouble contacting Johor Approach and the rest of the flight was as smooth as could be. It was a particularly triumphant feeling as I touched down on the familiar Runway 16 at Senai. This was a monumental moment as it more or less signified the completion of my PPL training. My instructor was pleased and of course glad I had brought myself and the aircraft back in one piece each. 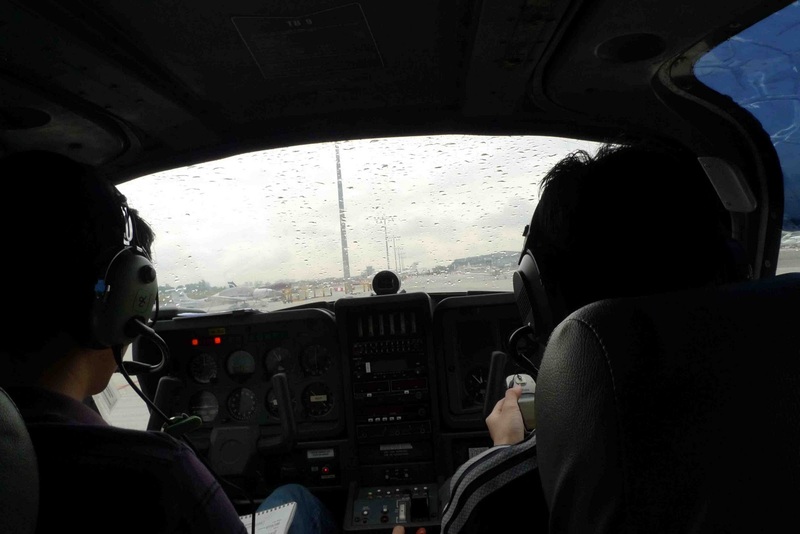 I would fly with my instructor for 2 more sessions of General Handling (GH) revision. My GH sessions left me fond memories too. The session during which we revised stalls ended up being conducted over the seaside at Pontian Kechil due to all other training areas being occupied. It was the first time I had flown to the seaside for training. Till now, I still have vivid memories of doing stall after stall over the edge of the sea that lovely sunny day. My life as an SPL drew to a close with my last lesson. On the ground after this last lesson, my instructor drilled me thoroughly on my paperwork before declaring me ready for the General Flight Test (GFT). I spent the next 2 weeks in endless agony waiting for a flight test date to be confirmed. One date was set and then postponed, leaving me in absolute throes of despair. In between, I decided to join a group of club guys on a flying trip to Krabi and Phuket in Thailand. 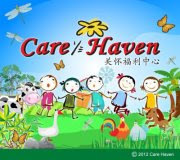 Although I would not be able to clock any hours since I was still a SPL, I happily tagged along just for the experience. I flew with a PPL in a Cessna 150, perfectly contented to help fly during cruise phases, practice my navigation and RT skills etc as co-pilot. Unfortunately, a new flight test date was confirmed for 4th June, the day after I was due to fly back from Phuket. Nonetheless, not wanting to miss out on the experience, I went ahead with the trip. The day before my flight test, I flew 7 gruelling hours in a little Cessna 150, got caught in bad weather and barely made it to Senai at nightfall. I got back to Singapore only much later that night. I scrambled to do some revision before dropping into bed, weary and exhausted from the day’s exertions. 2 halves of a flight test and 1 thunderstorm later … the PPL is mine! I was up bright and early the next morning to make my way to Senai for the flight test. Luckily for me, my examiner was an affable and good natured gentleman from KL. We completed the paperwork quickly as my good instructor had made sure that I had all bases covered. 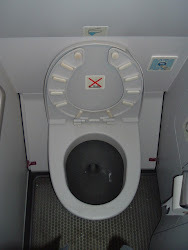 We were soon in the aircraft and ready to fly. Despite being cleared to 2000ft, I found it impossible to climb beyond 1500ft due to the low clouds in the west of airfield. I quickly requested to fly further to North of Gunung Pulai in search of a patch of space where I could climb to 2000ft to do my stalls and PFL. I completed all the various turns, stalls and the PFL uneventfully here. The examiner instructed me to ask to rejoin for circuits and landings. As I tracked back towards the west of airfield, it became clear that we were not going to be able to carry on flying. The airfield was shrouded in ominously dark clouds and heavy rain was pouring down from the skies. We had no choice but to return for full stop. Rain pelted the cockpit windscreen relentlessly as I relied on my instruments to guide me towards the runway. At one point, I reluctantly admitted to the examiner that I had no visual with the runway at all even though we were on late downwind. He very calmly told me proceed as best as I could. Despite the rapidly deteriorating weather, I kept my nerves under control and went in to land in the heavy rain on an extremely wet runway. As the aircraft touched down with a gentle bump, I was instantly thankful I had made it back. 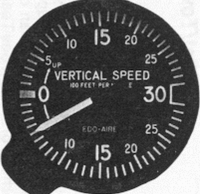 Later on, the examiner would comment favourably on my landing and inform me that I had passed 75% of my flight test … I still needed to do circuits before I could clear the whole test! I would have to pray real hard for a respite in the inclement weather later on for me to finish my test that day. After my incomplete flight test, we adjourned to the canteen for lunch (and for my prayers). Miraculously, the sun peeped out again from behind the clouds halfway through lunch! We hastily finished our lunches and hurried off to fly while the sun was still shining. 4 circuits and landings and 1 EFATO later, I was officially declared a pass! Jubilantly, I phoned my instructor to break the good news to him. I was his first and only complete “product” - a student he had taken from introduction flight all the way through to PPL. With my graduation of sorts, he would have ease of mind as he left to pursue his new career as a commercial pilot. I had always had doubts of whether I could have made it without him. For having made my PPL possible, I would always be indebted to him and would always cherish all those hours we spent together in the skies over Senai and beyond. For me, the PPL was just a beginning, a key to future flying adventures and more good years of those precious unique moments of peace in the skies.